In Part 126, of the asp.net video tutorial we discussed about, "Caching application data" using direct assignment as shown below. 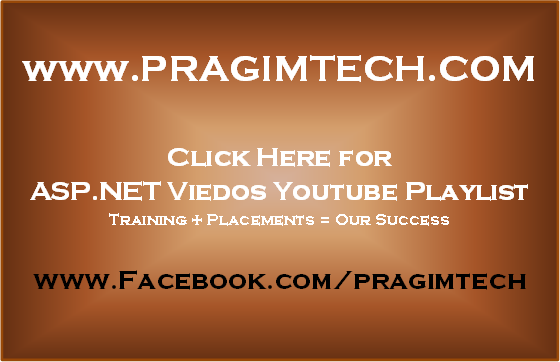 Please watch Part 126, from the asp.net video tutorial by clicking here, before proceeding. Cache object's, Insert() method has got 5 overloaded versions. Depending on application requirement, we can choose the overloaded version that best suits our needs. The simplest overloaded version, takes 2 parameters. The same thing can be achieved, using cache object's "Insert()" method, as shown below. We will discuss about other overloaded versions of "Insert()" method in a later video session. Adding application data, to the cache object, using "Add()" method is similar to "Insert()" method. As "Insert()" method has got several overloaded versions, some of the parameters are optional. Where as, "Add()" method does not have any overloads, and hence, all parameters must be specified. We will discuss about "absolute expiration", "sliding expiration", and CacheItemPriority in a later video session. The value stored in "MyKey" is "Value1"
The following line will silently overwrite "MyKey" value to "Value 2"
To Remove an item from cache explicitly, use Remove() method. The following line would remove the cache item with key "MyKey"
There is a cache dependency, and the item, that the cache object is dependent on has changed. In a way, Cache object is similar to Application state. The objects that we store in application state variables are available anywhere within a Web application. Objects stored in cache are also available anywhere within a Web application. But the difference is that, items stored in cache can expire, where as items in application state will never expire. This is chandu,You have not provided a video link for asp.net part 127 video in your blog but video was avialble in your youtube channel. Once see and correct it. Hi Chandu, Thank you very much. I have included it now. Good Luck.